FPL integrated ownership of fracking and pipelines to LNG export for its profit, at the expense of Alabama, Georgia, and Florida landowners, U.S. natural gas customers, and of course FPL ratepayers: that’s what FPL is hoping to wrap up at the Florida PSC. FPL wants to buy the 50% its parent NextEra Energy bought of “independent” PetroQuest’s Oklahoma fracking operation back in 2010 before FPL put out its December 2012 RFP for what ended up being the Transco -> Sabal Trail -> FSC methane pipeline to Martin County, Florida, plus an FPL pipeline from there to the sea at Riviera Beach. where meanwhile three LNG export operations have been authorized and a fourth LNG export operation has reqeusted a permit from FERC. FPL is partnering with PetroQuest Energy, Inc., on a new venture to develop up to 38 natural gas production wells in the Woodford Shale region in southeastern Oklahoma. PetroQuest, an independent oil and natural gas company and experienced operator in the region, will oversee and operate those wells. FPL will receive a portion of the natural gas produced from each well for its use. As part of its petition, FPL asked the Florida Public Service Commission (PSC) to approve guidelines for future natural gas production projects to allow the company, and in turn its customers, to take advantage of future beneficial natural gas investment opportunities. Thanks to Debra Johnson for finding that PR, which says that fracking could produce “up to 2 billion cubic feet per day of gas” and claims it’s for natural gas plants and methane-burning vehicles. LAFAYETTE, La., May 25 /PRNewswire-FirstCall/ — PetroQuest Energy, Inc. (NYSE: PQ) announced today that the Company has entered into a joint venture agreement with WSGP Gas Producing, LLC and NextEra Energy Gas Producing, LLC (collectively referred to as “NextEra”), subsidiaries of NextEra Energy Resources, whereby NextEra acquired a 50% interest in the Company’s undeveloped Woodford acreage position as well as 50% of the Company’s Woodford proved undeveloped reserves. The Company received $60 million in cash at closing and will receive an additional $14 million in cash on November 30, 2011. If certain performance metrics are achieved the Company will receive an additional $14 million in cash on November 30, 2011. Additionally, NextEra will fund a share of the Company’s future drilling costs under a two phase program. During Phase 1 of the drilling program, NextEra will fund a share of the Company’s cost to drill and develop undeveloped Woodford acreage up to a value of $54 million, net to PetroQuest’s interest. After reaching the Phase 1 funding limit, NextEra can elect to participate in Phase 2 of the joint venture drilling program. If NextEra participates in Phase 2, it will fund a share of the Company’s drilling costs up to an additional $92.6 million, with elections to continue participation every six months. Both phases of the drilling program contain well-by-well non-consent provisions on behalf of NextEra. 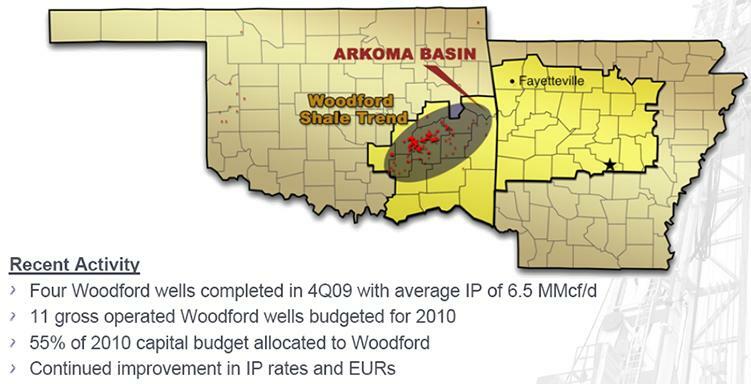 PetroQuest and NextEra formed a JV for Woodford Shale assets in May-2010. So stay tuned for FPL to announce it’s involved in still more fracking operations. FPL’s latest piece of its bigger plan still has to be approved by the Florida Public Service Commission (FL-PSC). That’s the same FL-PSC that rubberstamped the Sabal Trail pipeline after FL Gov. Rick Scott owned shares in Spectra Energy. But it’s still worth opposing this deal there. The utility Wednesday asked regulators to approve plans for a small investment in new wells in Oklahoma that would provide some of the natural gas it uses to make electricity. It also asked for guidelines on investing in larger natural-gas production ventures later. Regulators in other states already have given approval for utilities to invest in natural gas production, but Florida has not, FPL spokeswoman Sarah Gatewood said. The Florida Public Service Commission said FPL’s request seems to be a first in the state. The utility asked for the approval as part of its annual fuel-cost recovery program, and that issue is set to be addressed in hearings starting in late October, said PSC spokeswoman Bev DeMello. The deal would cost $68 million to buy out the contract from USG Properties Woodford, an affiliate owned by FPL’s parent company NextEra Energy. 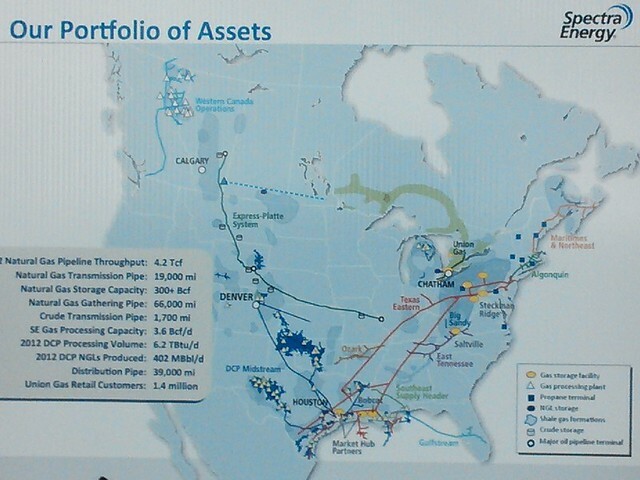 Plus, FPL would invest up to $120 million over 30-plus years in the new wells, said Gatewood. 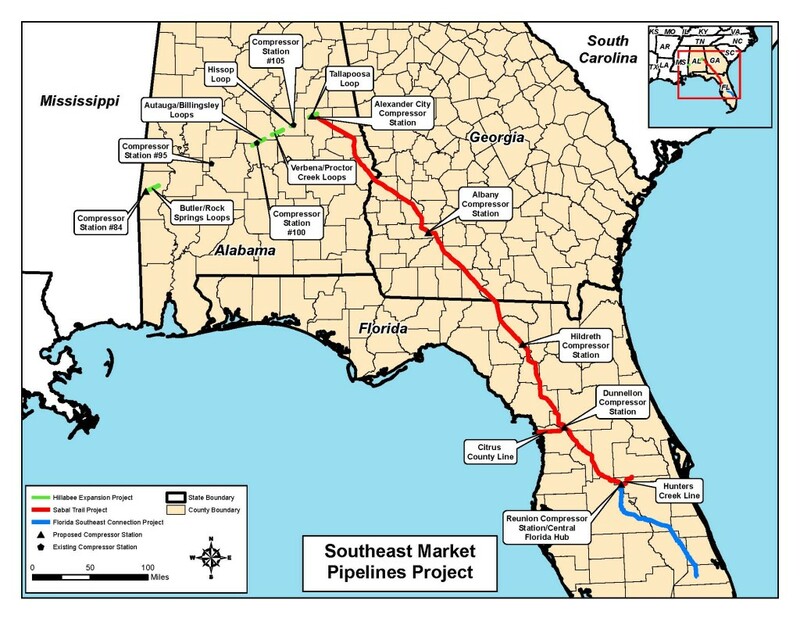 But the newspaper didn’t mention FPL’s “Southeast Market Pipeline Project”, for the 36-inch pipelines Williams Transco through Alabama, Spectra’s Sabal Trail through Alabama, Georgia, and Florida, and FPL’s own Florida Southeast Connection (FSC) from Orlando to Martin County, Florida, that would transmit that fracked gas from Oklahoma to Florida. Advocates for clean energy immediately raised questions about the proposal, suggesting that Florida consumers would be better served by a greater push toward energy efficiency and solar power. Neither FPL nor the Sun Sentinel mentioned FPL’s extra wholly-owned pipeline from the end of its FSC pipeline in Martin County to Riviera Beach. Which would be very convenient for Floridian LNG’s Martin County LNG export operation, already approved by the U.S. DoE’s Office of Fossil Energy (FE) 14 November 2013, before the Sabal Trail Open Houses or FERC Scoping meetings. Natural gas prices fluctuate widely, and while they’re low on average now, they could spike later, experts agree. “Natural” fracked methane gas prices are going through the roof once LNG exports start from Florida, which might spike FPL’s profits, but would burn the pocketbooks of every FPL customer. That’s why solar advocates want FPL to move faster from fossil fuels to sun power that’s always free. And it’s not just FPL customers or Floridians who need to play a role in this discussion: methane prices will go up nationally on LNG export. And FPL’s Transco -> Sabal Trail -> FSC pipeline to the sea would cut a hundred-foot gouge through Alabama, Georgia, and Florida for its yard-wide explosive terrorist target. As the Alabama, Georgia, and Florida chapters of the Sierra Club have said, FERC should be promoting solar and wind, not new pipelines. As I wrote in the Georgia Sierran April-May-June 2014 issue, Proposed Sabal Trail Pipeline Threatens Southwest Georgia Communities and solar is a much better choice. As Merrillee Malwitz-Jipson and Jim Tatum wrote for Our Santa Fe River (OSFR) in the Gainesville Sun, Pipeline in springs heartland would be at risk for accidents, go solar instead. Like WWALS Watershed Coalition wrote in the Ocala StarBanner, and the Moultrie Observer, solar doesn’t require massive amounts of testing or cooling water. FPL’s gotten so desperate in this public exchange that it called in FPL’s CEO to attempt to counter OSFR’s latest. I could cite numerous other pipeline opponent writeups. Let’s get on with faster, cheaper, cleaner, doesn’t explode solar and wind power which can power all of Florida.